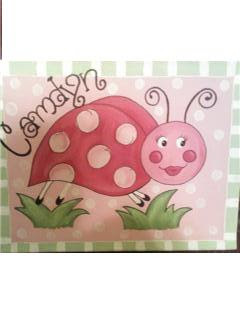 I painted this for little miss Camdyn Porter. Her room is done it ladybugs. 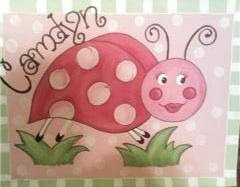 I ran across this picture on the internet and just had to paint it for her room! Monica,I knew you were a woman with many talents as your co-worker..but you continue to amaze me with your gifts...makes me envious!